Valerie Smith & Liberty Pike will perform. BELL BUCKLE – Historic Bell Buckle, Tennessee will be alive with bluegrass music Sunday, September 26th as the 4th annual Dare To Be Different Showcase comes to the Bell Buckle Banquet Hall. 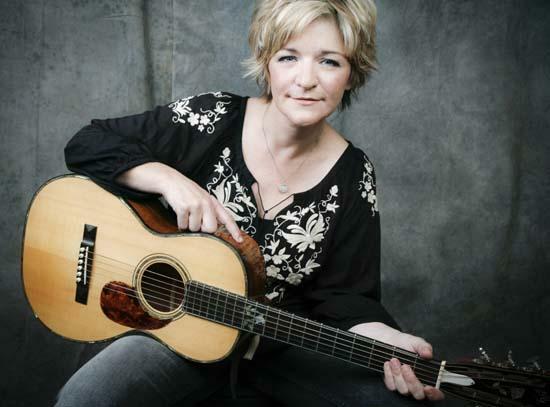 Grammy nominee and three time Int'l Bluegrass Music Association (IBMA) award winner Valerie Smith and her band Liberty Pike are hosts of the event, which features all branches of bluegrass music, from progressive to traditional and everything in between. "All proceeds benefit the International Bluegrass Museum (IBMM) in Owensboro, Ky., which is doing an amazing job preserving the history of this high-spirited, distinctly American musical art form,” said Smith. Featured bands include Valerie Smith & Liberty Pike; Jerry Butler & the Blu-Jays; Brad Long & Friends; Kenny Stinson & Perfect Tymin'; Chicken Dinner Road; Runaway Freight; and Common Ground. The show will kick off with an hour of Bluegrass Gospel by local favorites the Friday Night Orphan Brigade. “This is a great way for Bluegrass fans to kick off the IBMA’s ‘World of Bluegrass Week’, held in Nashville Sept 27 – Oct. 3,” Smith added. Doors open at 12 p.m. with music from 1 to 9 p.m. Tickets are $10. Food will be available for sale from the world-famous Bell Buckle Café. Come early to experience Bell Buckle's fun shopping district, full of antiques and uniques. More information is available online at BellBuckleBanquetHall.com or by calling (931) 389-0223.